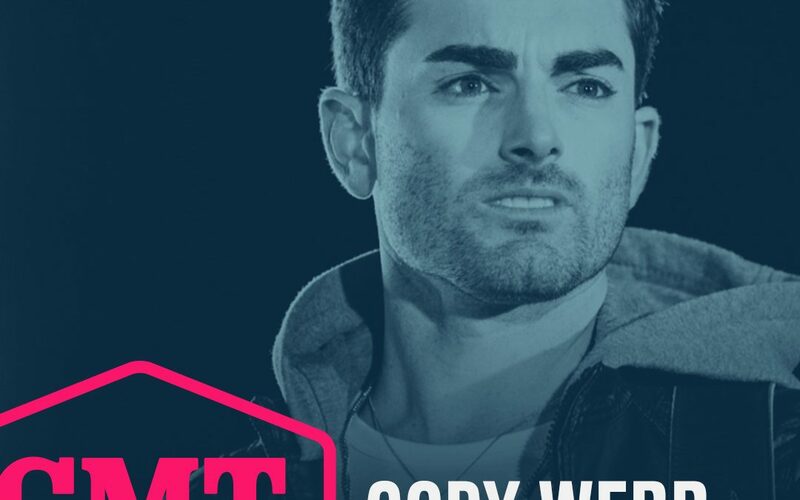 Nashville, Tenn. (April 9, 2019) — Copperline Music Group‘s Cody Webb made his CMT debut this morning, April 9, when the national television network premiered the official music video for his brand-new single “Gettin‘ Somewhere,” exclusively on CMT Music and CMT.com. “Gettin’ Somewhere” is the South Carolinian’s first single release since 2017 and is currently featured on Apple Music‘s Cool Country as well as Spotify‘s New Music Nashville playlists. A prolific songwriter, Webb’s most recent cut was on Luke Combs‘ multi-platinum debut album for track “Memories Are Made Of” that he co-wrote with Combs and Ray Fulcher. Kicking off 2019 with his “Gettin’ Somewhere“ Tour, Webb’s schedule is still heating up with stops in South Carolina, Georgia, Tennessee, Texas and more to be added. Along the way, Webb has appeared on multiple morning TV shows such as: WSMV-TV Today in Nashville (NBC/Nashville), WXIA-TV Atlanta & Company (NBC/Atlanta), KMOV-TV Good Day St. Louis (CBS/St. Louis, MO), WCNC-TV Charlotte Today (NBC/Charlotte, NC), WSPA-TV Your Carolina (CBS/Greenville, SC), and WCIV-TV Lowcountry Live(ABC/ Charleston, SC). Stay tuned, as Webb will be featured in the introduction video of this year’s NFL Draft that will air every night on ABC, the NFL Network, ESPN, ESPN2, and ESPN Deportes, taking place on Thursday-Saturday, April 25-27 in Nashville, Tennessee. Catch additional airings on CMT Music today at 11:30 a.m., 8:50 p.m. and tomorrow at 4:30 a.m. (all times ET). Copperline Music Group’s Cody Webb just dropped his brand new single “Gettin’ Somewhere” in March of this year. The singer-songwriter co-wrote the track with Jason Matthews and Mike Mobley, and it continues to gain traction, being featured on Parade.com, The Boot, Apple Music, Spotify, Morning Hangover, CMT Music, CMT.com, Cumulus’ The Ty Bentli Show, Country Rebel and more. A prolific songwriter, Webb’s best known for co-writing “Memories Are Made Of,” alongside Luke Combs and Ray Fulcher on Combs’ multi-platinum selling debut album This One’s For You. Webb’s opened for numerous country music heavy hitters such as LOCASH, Cole Swindell, Lonestar, Frankie Ballard, and Easton Corbin. The South Carolinian’s debut single “She’s Carolina” was beyond impactful in his home state, banking more than one million views on Facebook for the “Carolina” lyric video. Webb’s currently on his “Gettin’ Somewhere” Tour coming to cities across the nation and is anticipated to release his next single this summer. For more information on Cody Webb, visit codywebbcountry.com.